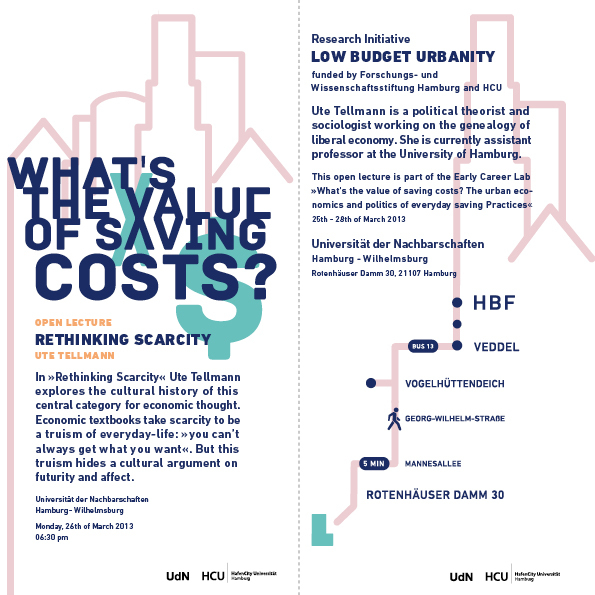 Low-Budget Urbanity is a research programme that explores contemporary urban phenomena such as ridesharing and online hospitality networks, water-saving infrastructures and DIY-practices of house owners, and second-hand consumer cooperatives as saving practices that transform the urban setting. These self-organized saving practices all involve “complex encounters, connections and mixtures of diverse hybrid networks of humans and animals, objects and information, commodities and waste“ (Sheller and Urry 2006:2). Here cultures of frugality and sharing (Botsman/Rogers 2010) emerge as well as cheap mass production and consumption practices, creating new economic forms that have long-term effects on the urban space. 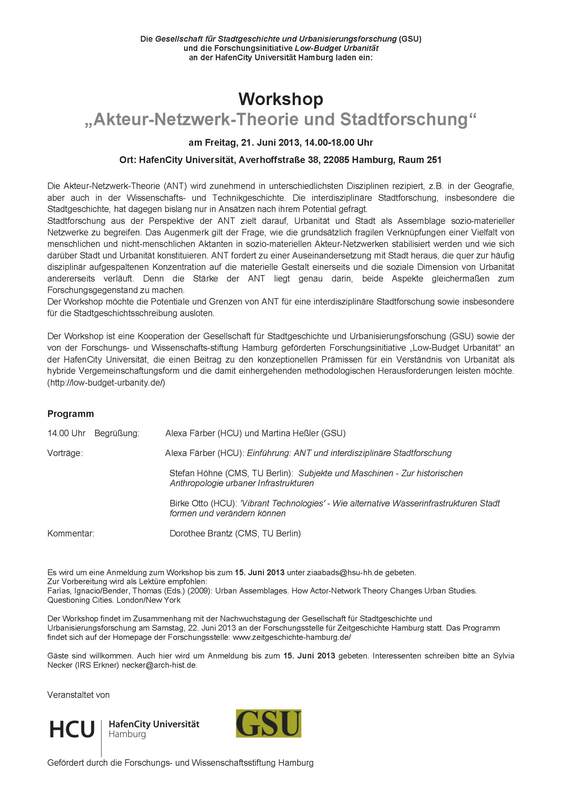 This research lab is interested in those “low budget practices” which are not just an expression of a lack of material means and imposed abstinence (Oswalt 2005, Bude/Medicus/Willisch 2011). Rather we also seek to explore low budget practices that are manifestations of conscious decisions to save money (and resources) by diverse practices of sharing and self-help. 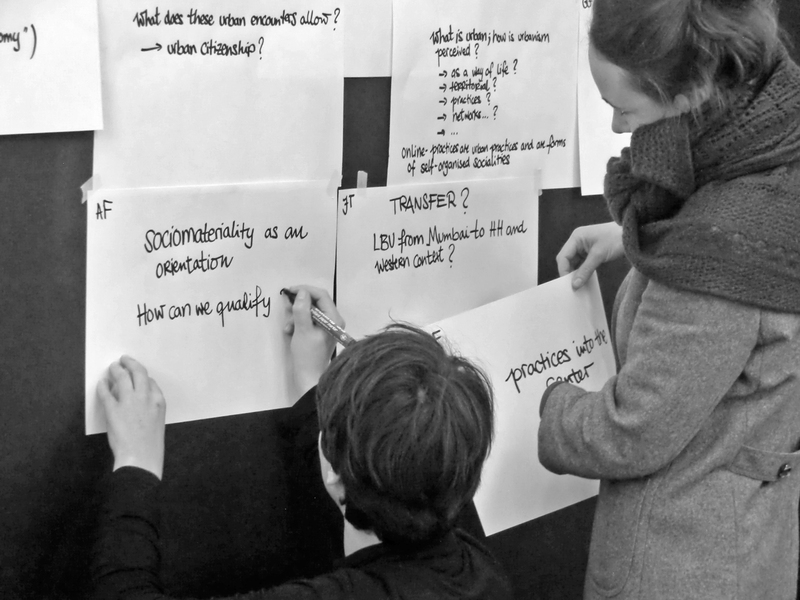 In this 4-day laboratory, we try to focus on the new practices that help trace the historical trajectories of low-budget urban life, the way people perform a budget and the materialities that surround this performance, the networks and communities that create an alternative urbanity, as well as the politics of saving money. The Early Career Laboratory provides a stimulating mix of lectures by senior scholars, presentations by fellow-PhD’s, a publishing workshop with journal editors, and networking opportunities across adjacent academic fields. 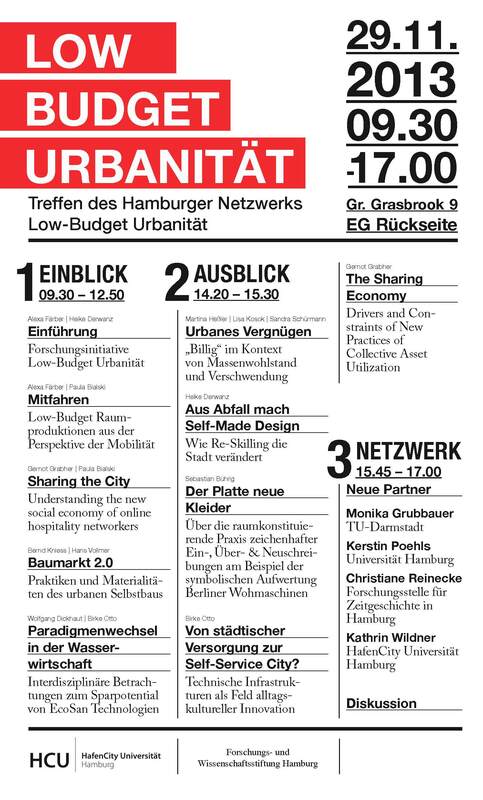 It will be located at one of IBA‘s (Internationale Bauaustellung Hamburg) hotspots in Hamburg-Wilhelmsburg at Universität der Nachbarschaften (UdN), which starts the weekend before. The Lab seeks to investigate how everyday saving practices are studied and researched today. While engaging in fields of self-entrepreneurialism, illegal practices or social stigmata, researchers are confronted with economical and political modes within their fields. How to frame these economical or political models of thinking? What is the value of saving costs in the field? What is considered as costly? 4. 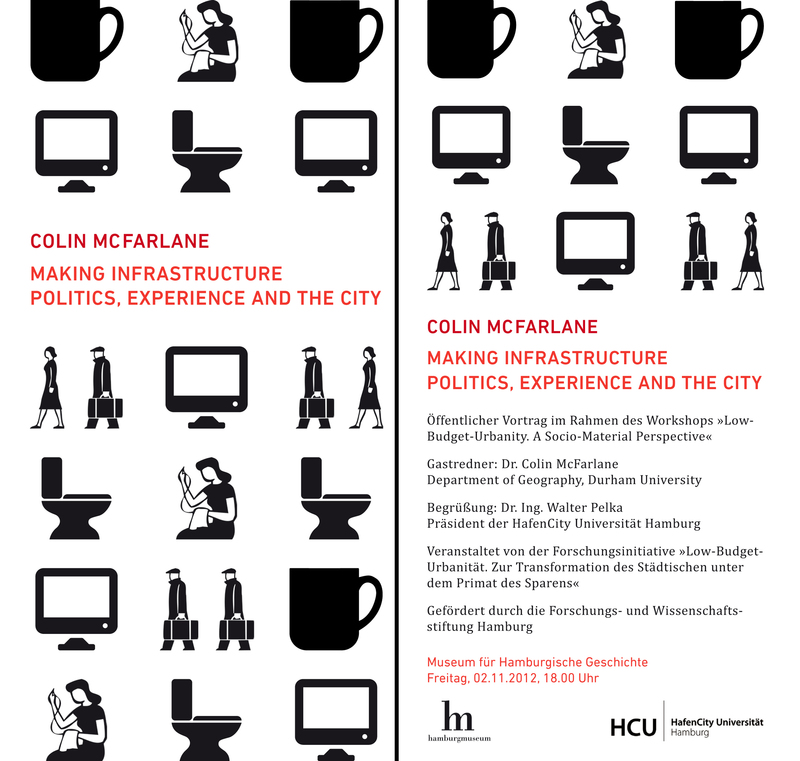 Networks and communities: alternative urbanities? Travel costs are refunded, accommodation is provided. Participation is limited to 20.